Having secure communication is not only important for HIPAA compliance but also critical to your patients, staff and reputation of you and your company. At Telehealthcare, we know all healthcare providers need to communicate with a wide range of resources including doctors, staff, vendors, pharmacists, labs, long term care providers, hospitals, insurance companies and communication can happen anywhere (both at the office or away from the office) and at anytime (both during work and after work). Complicating secure communication and HIPAA compliance is the growing use of mobile devices, email systems, electronic health records, medical forms and sending / receiving files in a wide range of file formats (PDF, Images, Word Documents, etc.). To address these issues, Telehealthcare, Inc. developed CarePanda, an online application to help medical professionals, staff, vendors AND patients securely communicate with each other. CarePanda works just like text messaging on your mobile app, but you can share files, see what time and day the other person read your message AND add or remove people from your message thread at anytime. CarePanda is specifically geared for managing large volume of staff and patients, such as in drug and rehab facilities, social workers, and larger medical groups or accredited care organizations (ACOs). 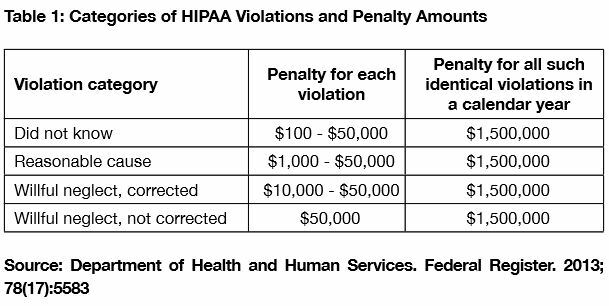 Since the compliance date of the Privacy Rule in April 2003, OCR has received over 127,000 HIPAA complaints and has initiated over 860 compliance reviews. OCR has resolved ninety-five percent of these cases (121,000). To date, OCR has settled 29 such cases resulting in a total dollar amount of $27,974,400.00. * This does not include the cost of legal fees, employee time on these cases, and related civil case expenses and also impact on company reputation and trust.